The Safari Park has natural filtration ponds similar to the ones near the River Stage in San Angelo. Both of them help control the nutrient level in the water coming from run off. San Diego also gets less precipitation than we thought so they want to reuse a lot of their water and are open to innovative ideas on how to conserve water. 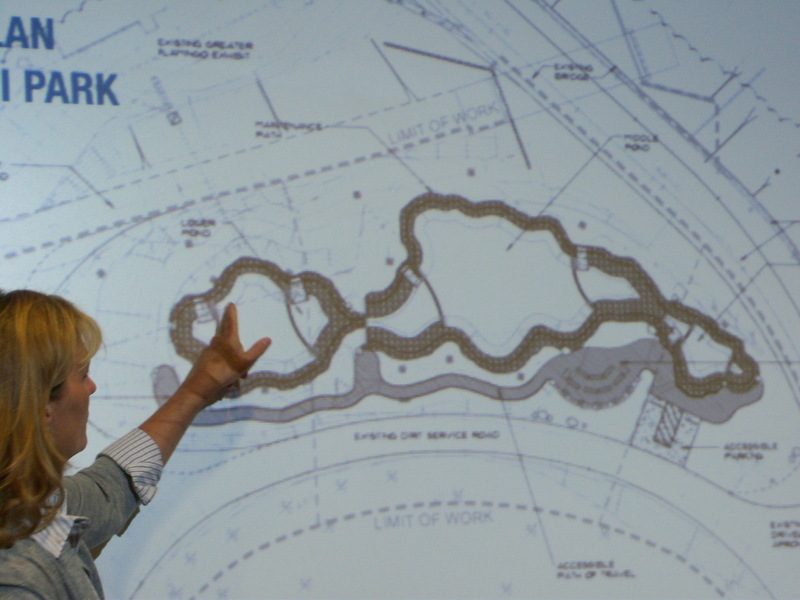 Robin Badger, the architect for the wetland project at the Safari Park, talked about how the filtration ponds work and the planning that went into their design. We were also surprised at the wildlife that has come into the ponds, such as frogs, fish and insects. The park staff really recognized how important it was to have that ecosystem. 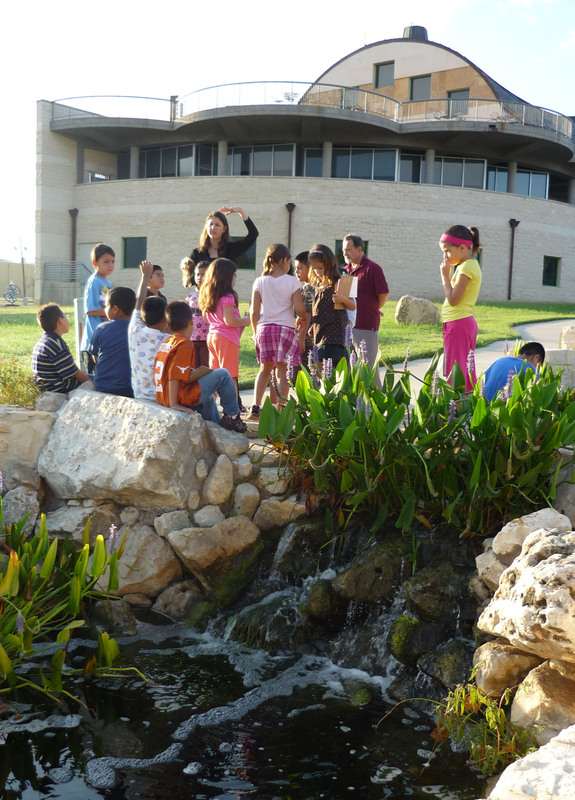 It also helped us realize how important the filtration ponds are to the river in San Angelo. We need more of these projects like wetlands in San Angelo. We are ready to educate our community leaders to do more! One of the wetland ponds at Safari Park. 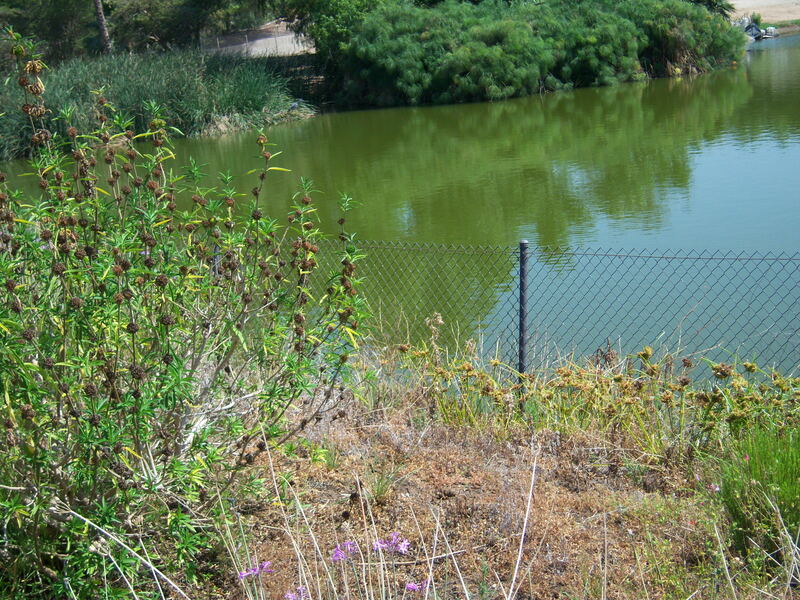 Plants help to naturally filter out nutrients and more of the water stays at the park. That means more water conserved! 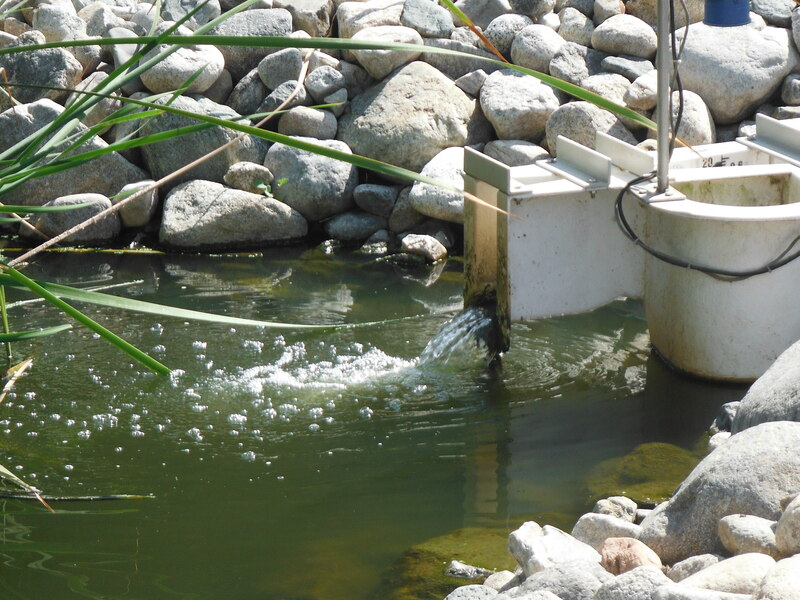 "California Comparison: Water Here and There" was written July 27th, 2012	by Aqua Squad, and filed under Aqua Squad, SAMFA, UCRA, Water Education and tagged filtration ponds, San Angelo, San Diego, water conservation.